I'm a very blessed Australian designer, one of a few who are given bundles of gorgeous Tilda fabrics to play with months before they ever dress a quilt store shelf. Playing with them is sooooo easy, but the difficult part is wanting to show you and not being able to....until....the big day arrives. 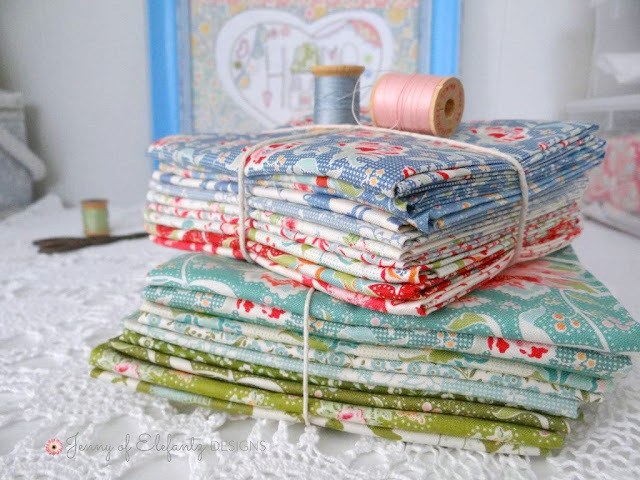 When 'that' day arrives and all is revealed you discover pretty new projects popping up everywhere across blogs, Instagram and Facebook which we've all been hiding away secretly, patiently counting down to the moment when we can swing wide our sewing room doors and let you inside! The newest Tilda line is called "Circus" and it will be in stores on April 1st. As soon as I saw them it was the blue and red which caught my eye and I said out loud, "A Union Jack, I'm going to make a Union Jack!" Having a family line which I can trace back to the 1600's in Wiltshire, England, and being of good First Fleet British convict lineage through my g-g-g-g-grandfather, as well as Scottish lineage through my g-g-g-g-grandmother who arrived as a convict with the Second Fleet, the Union Jack means a great deal to me. 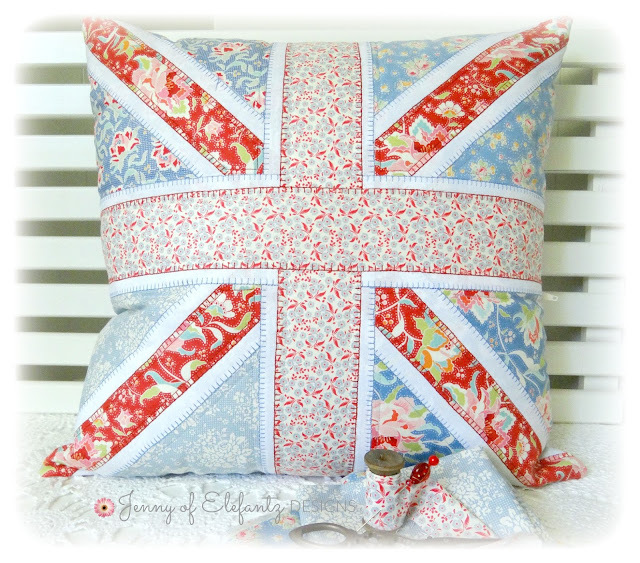 So on a very overcast and rainy day I set to work sewing a Union Jack pillow for our home and decided to share the pattern with all of you lovelies who may so inclined to make one too. 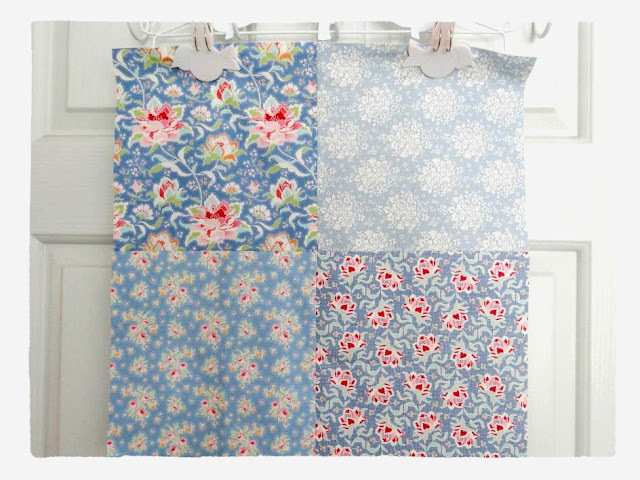 The remainder of the pattern is HERE as a free tutorial style download, much easier than scrolling the blog, right? 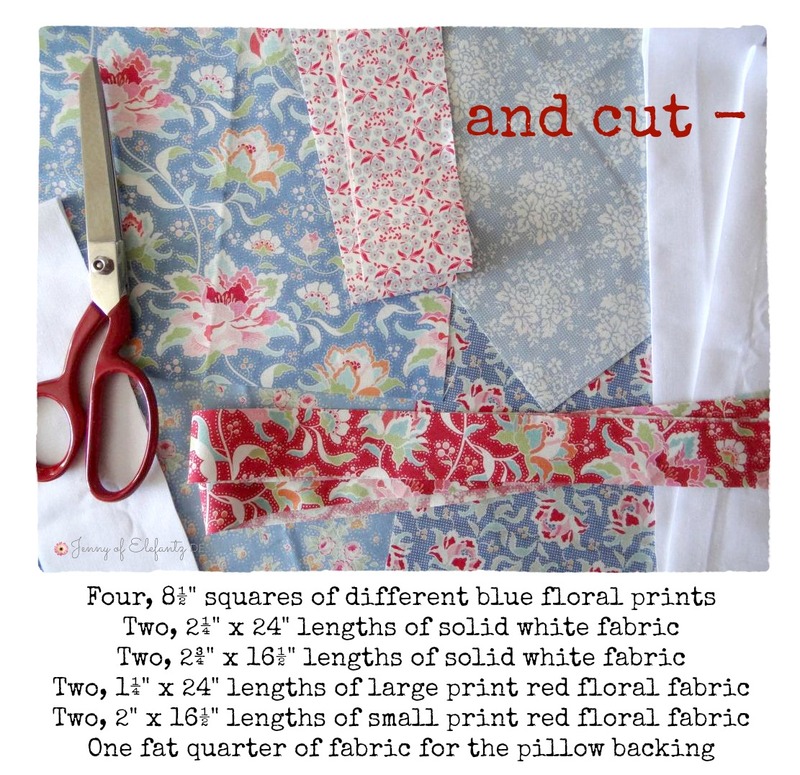 This is a VERY easy pattern for beginners. 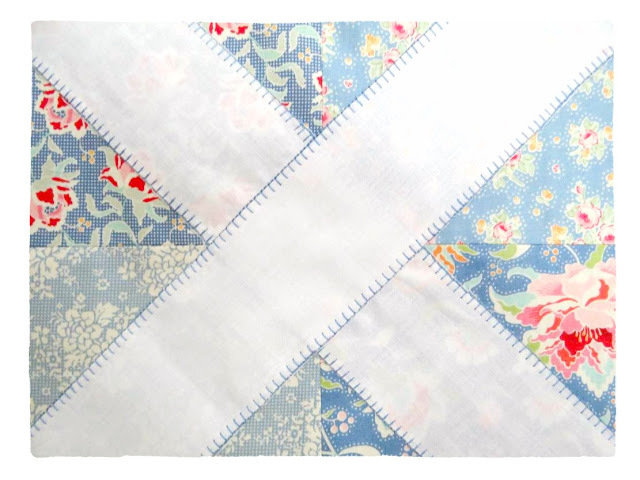 ...and the crosses are simply cut and sewn in place with blanket stitch applique. It's really just building layers. 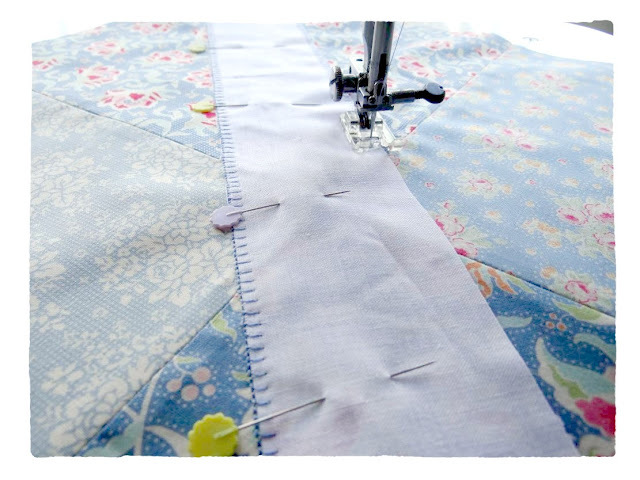 Now, I have never ever, not even once, used my sewing machine for blanket stitch applique. I always applique by hand because I enjoy it. However, layering these cross pieces of fabric was going to create some severe cramping in my hands as it would mean sewing through numerous layers by the end. So...I followed my friend Rosie's advice about using the applique stitch on my machine and went for it! She does curves and shapes on her machine (and I think Allie does too?) but I was quite content to just sew along all those straight pieces and save my fingers from cramping this time round. I won't be machine appliqueing my embroidery work but it was fun to try it on this project. You could also raw edge the fabric crosses, or zig zag. Oh, and I didn't use fusible web for the applique, just pinned the fabrics in place. The block trims to 16 1/2" and after adding quilt wadding to the cushion front and hand or machine quilting, add whatever pillow style backing you like. Mine had a zippered closure, but you may prefer buttons or a simple envelope style. 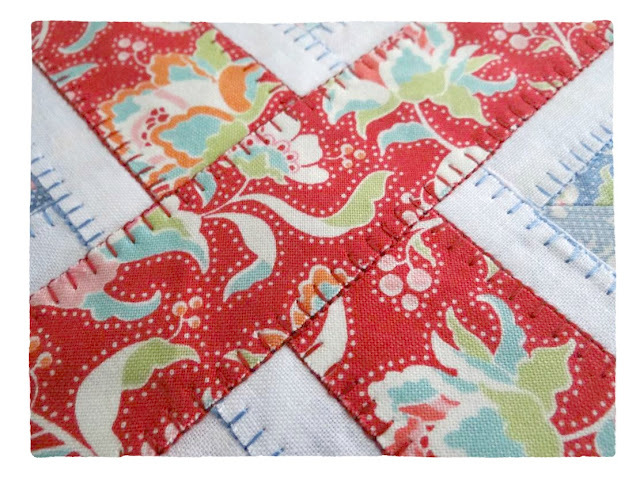 I machine quilted 1/4" inside the blue triangle shapes, and also 1/4" inside the red crosses. Honestly, this was such fun to make, but I did learn one thing about machine applique. It's the most horrible thing to unpick if you make a mistake, and I did. But let's not spoil what was mostly a wonderful rainy afternoon in the sewing room, ok? 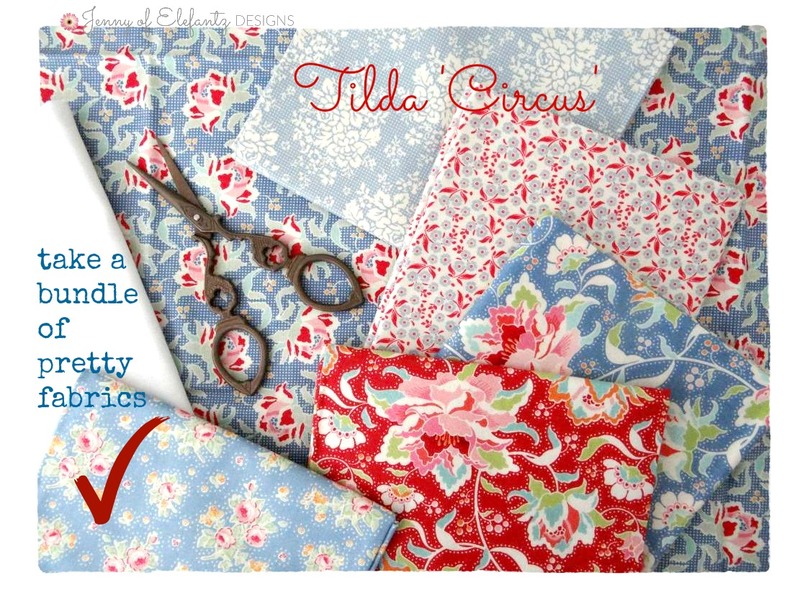 Tilda fabric in North America? Yes! 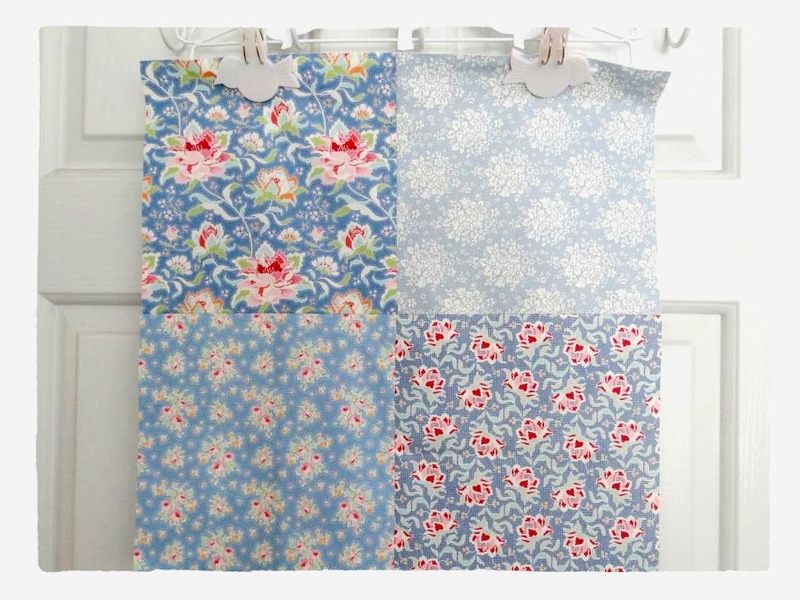 You can purchase from the Canadian store Willow Cottage Quilt Shop. A dear lady let me know last week so I thought I'd best pass the news along for you as I get so many emails about this from those in and around the US. 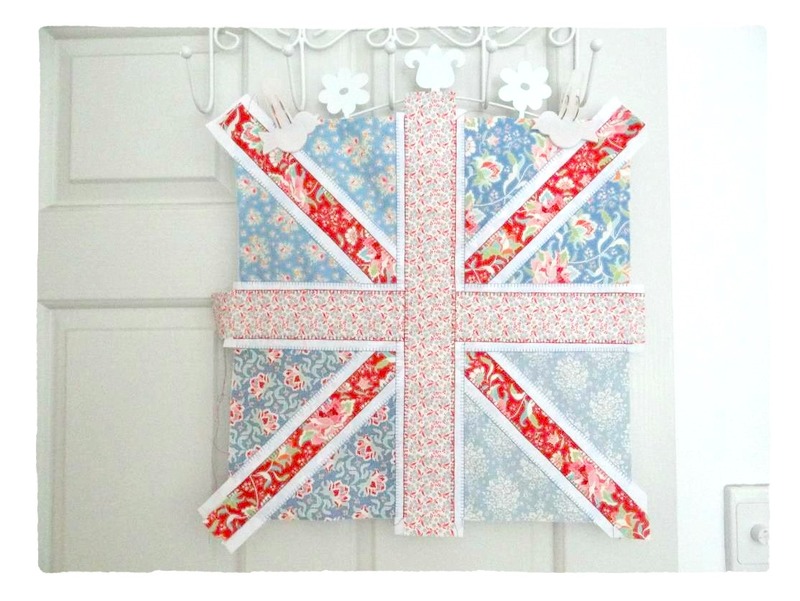 Have a wonderful weekend and Carry On Sewing! 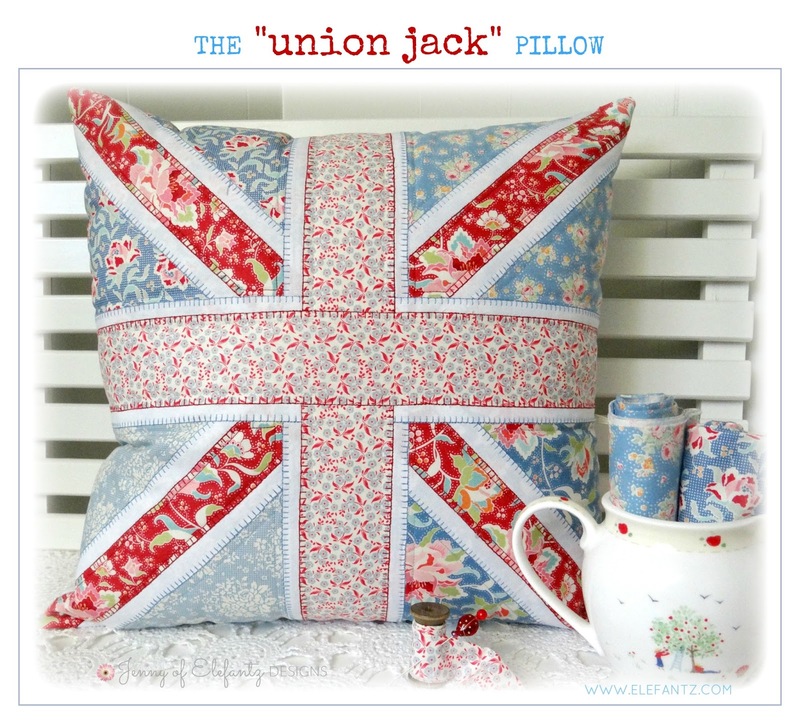 This sounds like a fun little project - love your pillow and how you put this all together! Beautiful fabric! Yum, I can hardly wait. I am a tilda addict. So so so gorgeous!!!!!!!!! And brilliant tute - yes I love to machine applique, when my machine is working properly, lol! The one thing that helps so much with hand applique is one of those rubber fingers on my needle index finger, really helps pull the needle through with ease. I used it on the embroidery for the Postcards too, because I was stitching through some really dense vintage cotton. Hope you're feeling better dear girl! Another beautiful project. Oh my!!!! My grandfather was from Chippenham Wiltshire! I went there in June 2015 with my youngest daughter! One of his parent's houses was still there and I visited his brother's grave. We also met his best mate's widow who has been in contact with our family for decades. It is a gorgeous place. Hmmm, I wonder if we could be related LOL. Thank you Jenny! You're projects are always so fun. That is fabulous! You have such a great imagination, I would never have seen that in the pile of fabric. The machine blanket stitch is very neat but I don't think mine would do it. It's vintage Singer!!!! Might have changed it but I'm very sentimental it was my 21st birthday present from Mam & Dad & it cost them a lot. Amazing to have traced your family back so far. I quite enjoy the BBC programme Who do You Think You Are? where celebrities trace their families. My husband has traced our families back quite a long way too but it's expensive getting the broth certificates to check you have the right ancestor. However I'm happy with knowing my grandparents & great grandparents who I can remember & that's it. Thank you for sharing your Union Jack pillow pattern - I have been looking for one but only found paper pieced that I could not make - your pattern is brilliant.